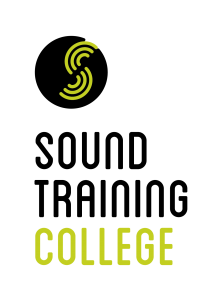 Sound Training College Diploma (this Diploma attests to unrivalled industry experience, specialisation and employability). Further study options exist, however this programme has an extremely high rate of Graduate progression to directly relevant employment, and is widely regarded as the industry standard for work in the area. Our Live Sound, Lighting and Stage Production programme fully prepares Graduates for work in all areas of the dynamic and exciting field of live events. Students are immersed in the workplace from the outset of the course. We utilise one of Dublin’s finest venues, The Button Factory, as our primary learning environment; thus offering unique, real-world experience. Students regularly run events to a professional standard throughout the year. Learning in the workplace is the key to our Alumni success. See our Alumni page for just a handful of success stories from our 30 years of training internationally renowned professionals. We also run Sound Training Productions, a production company offering our current students and graduates a mentoring service, access to professional facilities and referrals for work. Our reputation in the industry means clients constantly contact us to request qualified professionals; we thus have great success in placing our graduates. Content is complemented by regular guest lectures from industry professionals, all contributing to the creative and technical development of the student. Students can look forward to abundant access to our facilities both in class time and on project work. Students will also work on professional productions, examples of which can be found here. Online Access: Enrolled students will receive free access to Sound Training Online resources. An initial 30 day free trial will also be offered to applicants for the Live Sound course. This course requires a good level of English and basic computer skills. Entry is then determined by interview. Fees include a €1000 deposit which secures a place on the programme. Significant discounts are also available on a wide range of equipment for registered STC students (see our partners page). Want to see our lecturers and facilities in action? Sign up to our next Open Day!